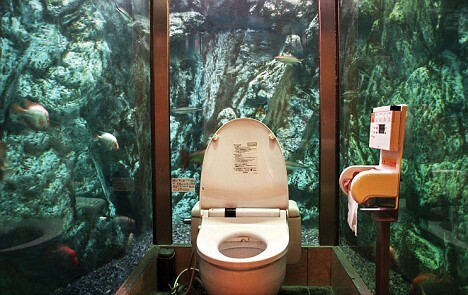 6 Interesting Toilets From Around The World. Toilets are all over the globe but some of them are more interesting than others. Explore 6 cool restrooms from around the world in this weeks blog entry. 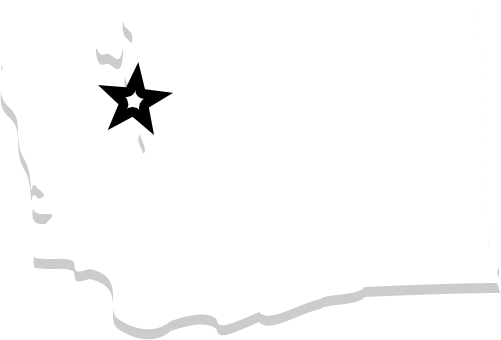 We start off this list with a bathroom that is located here in Seattle WA. The Columbia Tower is one of the tallest buildings in the USA, with 76 floors. 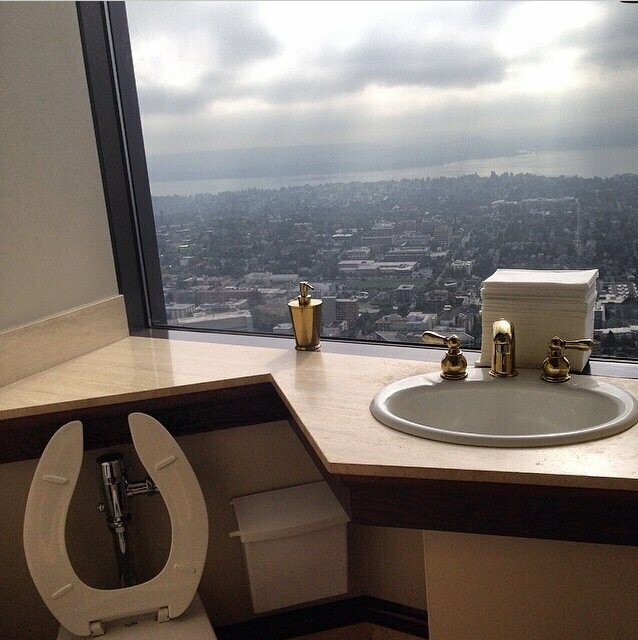 Each top floor restroom stall comes with it’s own window view that over looks the city. This fancy bathroom is on the other side of the world, in Japan. The surrounding aquarium walls make you feel like your underwater. Japanese toilets are also known to have lots of features. Check out all those buttons on the toilet paper holder! Even though these aren’t toilets we thought they should be on our list anyway. 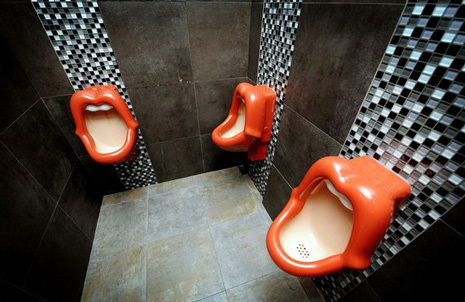 The Rolling Stones logo themed urinals are designed by Meike van Schijndel. They can be found in Germany & France. 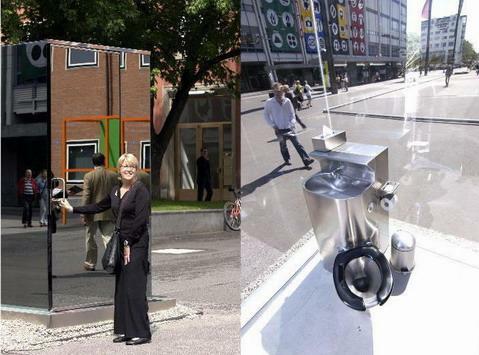 The “see though” public restroom has one way mirrors so no one can see in, but the view inside out is crystal clear. 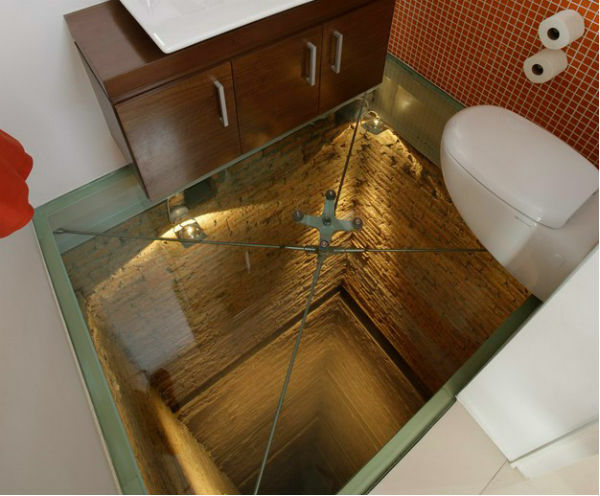 Would you use this loo? The crème de la commode was built on top of the building’s old 15 story elevator shaft. The rest of the penthouse is also pretty impressive, you can check it out here. Yes that is right, this toilet is in space. 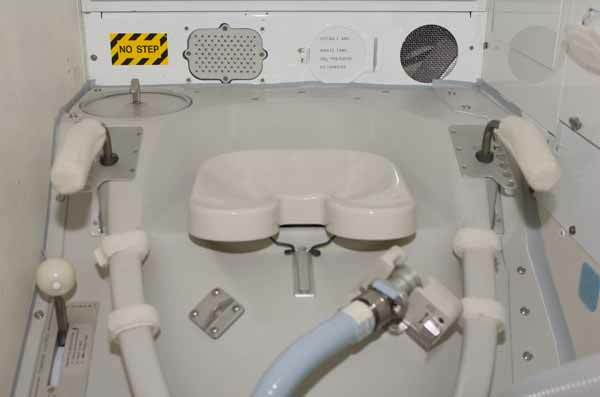 The toilet of the international space station comes complete with a suction toilet bowl, handle bars, and a foot bar to hold your self down on to the seat. Watch this video if you would like to know more about the process.